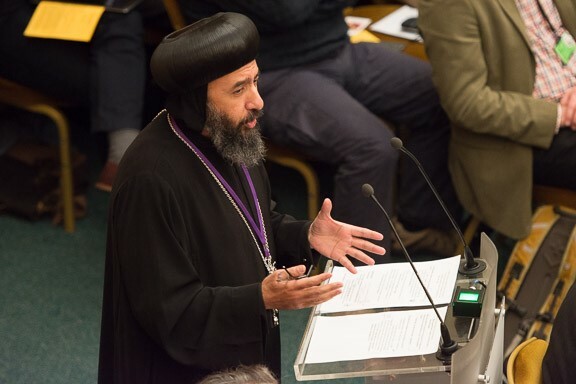 Addressing the situation facing Christians in the Middle East, His Grace Bishop Angaelos, General Bishop of the Coptic Orthodox Church in the United Kingdom, called for continued ecumenical and inter-religious collaboration in response to the complex crisis facing refugees. “I am thankful for my presence here ecumenically and I see myself as a voice in and a voice out. As a voice in I bring you the voices of the Middle East Church leaders both here in the United Kingdom and across the Middle East who value your support. As a voice out I will present the sentiments that I have felt personally in this chamber that their brothers and sisters here want to support them in every way, and in the words of Revelation 1:9 we do indeed “share with you in Jesus the persecution and the kingdom and the patient endurance”. “Listen carefully to the powerful words of Bishop Angaelos and his colleagues from that part of the world that the ideal situation is not simply, as one of them put it, to create a drain for the people of those countries to escape, but create the means by which they can stay in prosperity, in flourishing and in safety”. 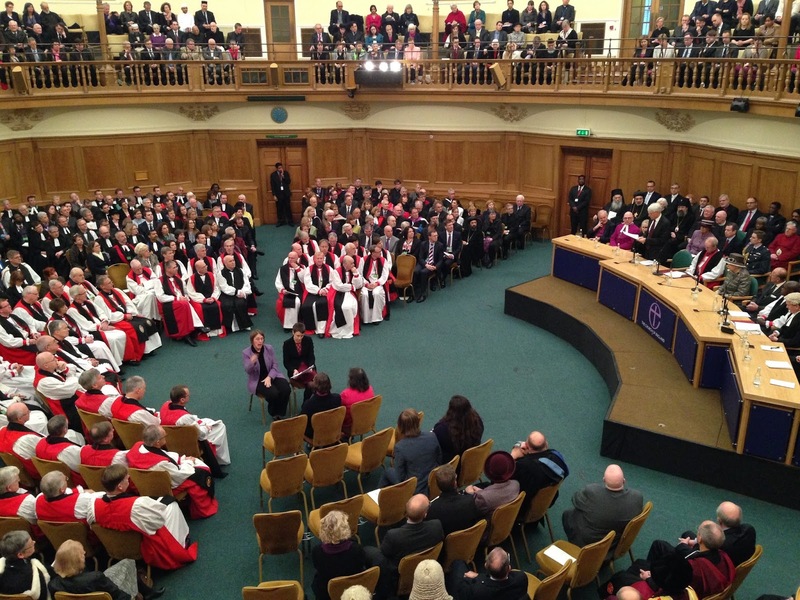 During his contribution, Bishop Angaelos commended the work of many within the Church of England including the Archbishops of Canterbury and York, and the Bishops of Durham and Croydon for their continued efforts in responding to the crisis and raising awareness to it. Among others, His Grace also acknowledged the contribution of His Royal Highness The Prince of Wales, the Prime Minister, the Rt Hon Baroness Anelay, Minister for the MENA region Tobias Elwood, and the newly-appointed Parliamentary Under Secretary of State, Richard Harrington MP. 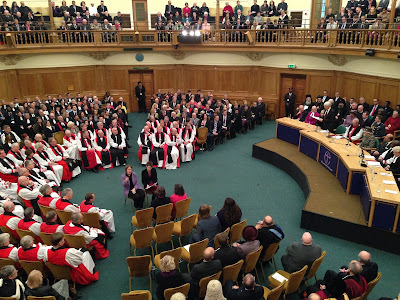 This debate came on the second day of Synod, following its inauguration by Her Majesty The Queen on 24 November 2015.